Our product range includes a wide range of steam jet ejector system, steam jet ejector for process industries, steam jet ejector for evaporation application, steam jet ejector for distillation application, steam jet ejector for dairy industries and steam jet ejector for pharma industries. We have full commitment in exporting and supplying high-quality Steam Jet Ejector System. These systems are used to handle small quantities of non-condensable vapors to scrub outlet gases. These machines are proven as reliable for their design aspects and sturdiness. These are also available in various configurations for batch and continuous application also. These systema are used in several processes such as Oil/Petro Chemicals, Vacuum Drying, Dehydration, Evacuation Vacuum Filling, Conveying and Venting. 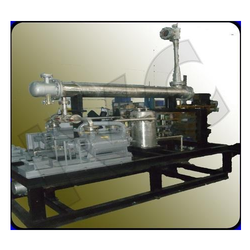 We offer Steam Jet Ejector for Process Industries to handle small quantities of non-condensable and non condensable vapors and to scrub Gas also of outlet gases, its also available in various MOC for Batch and Continuous Application also. Ejector system are used in several industries Like Oil/Petro Chemicals, Vacuum Drying, Dehydration, Evacuation Vacuum Filling, Conveying, Venting. MOC available in carbon steel, Stainless Steel, Hastelloy, Titanium, PP. Steam Jet Ejector for Evaporation Application is designed to handle small quantities of non-condensable and non condensable vapors and to scrub Gas also of outlet gases, its also available in various MOC for Batch and Continuous Application also. 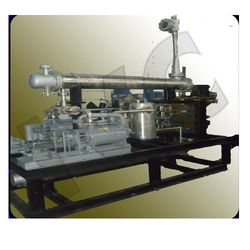 Steam Jet Ejector for Distillation Application to handle small quantities of non-condensable and non condensable vapors and to scrub Gas also of outlet gases, its also available in various MOC for Batch and Continuous Application also. Steam Jet Ejector for Dairy Industries handle small quantities of non-condensable and non condensable vapors and to scrub Gas also of outlet gases, its also available in various MOC for Batch and Continuous Application also. Ejector system are used in several industries Like Oil/Petro Chemicals, Vacuum Drying, Dehydration, Evacuation Vacuum Filling, Conveying, Venting. MOC available in carbon steel, Stainless Steel, Hastelloy, Titanium, PP. Steam Jet Ejector for Pharma Industries handle small quantities of non-condensable and non condensable vapors and to scrub Gas also of outlet gases, its also available in various MOC for Batch and Continuous Application also.